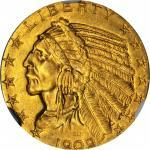 Lot:3051 1852-D Liberty Head Half Eagle. EF-45 (PCGS). 1852-D Liberty Head Half Eagle. EF-45 (PCGS).Pleasing honey-gold surfaces are boldly defined for a lightly circulated survivor from this challenging Southern branch mint. Relatively smooth in hand, as well, and sure to catch the eye of advanced gold enthusiasts. 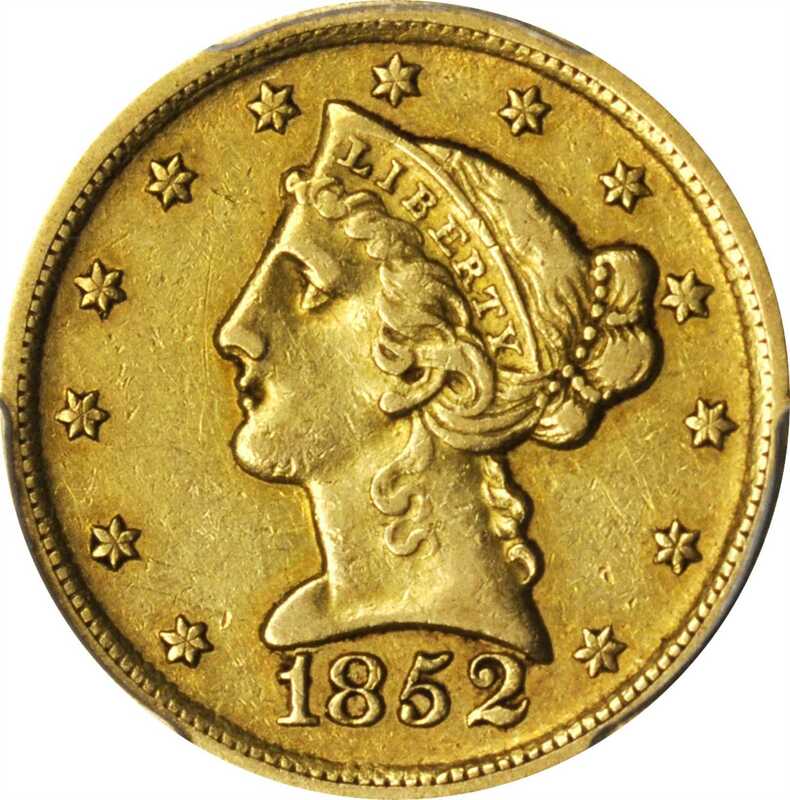 With the second highest mintage (91,584 pieces) among half eagles from this coinage facility, the 1852-D is one of the more frequently encountered Dahlonega Mint fives in todays market. Few survivors grade finer than basal EF, however, confirming the significance of this choice example.